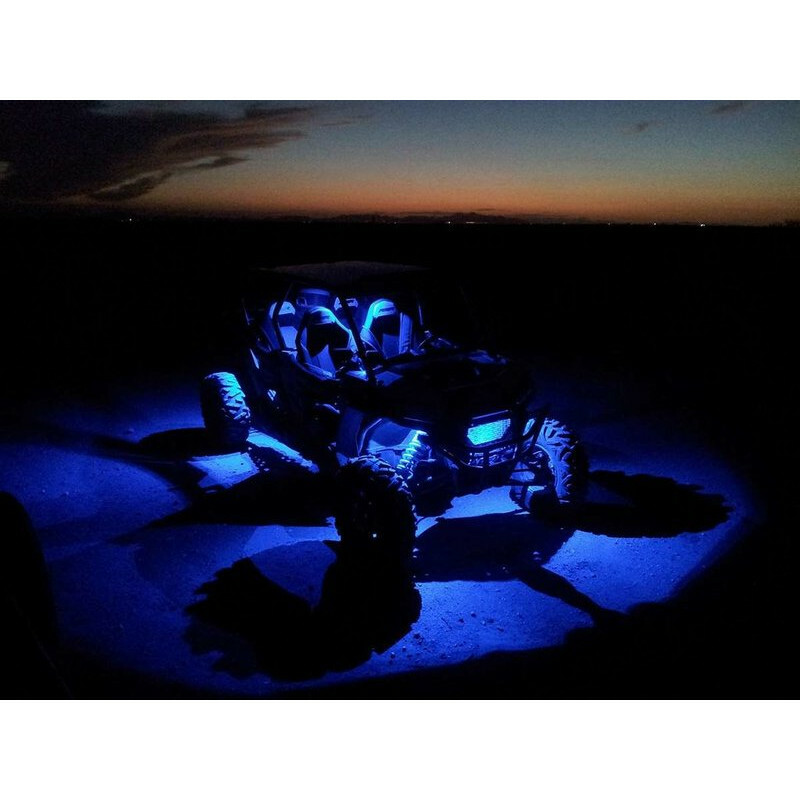 RGB LED Rock Lights with Bluetooth Phone App Controller. 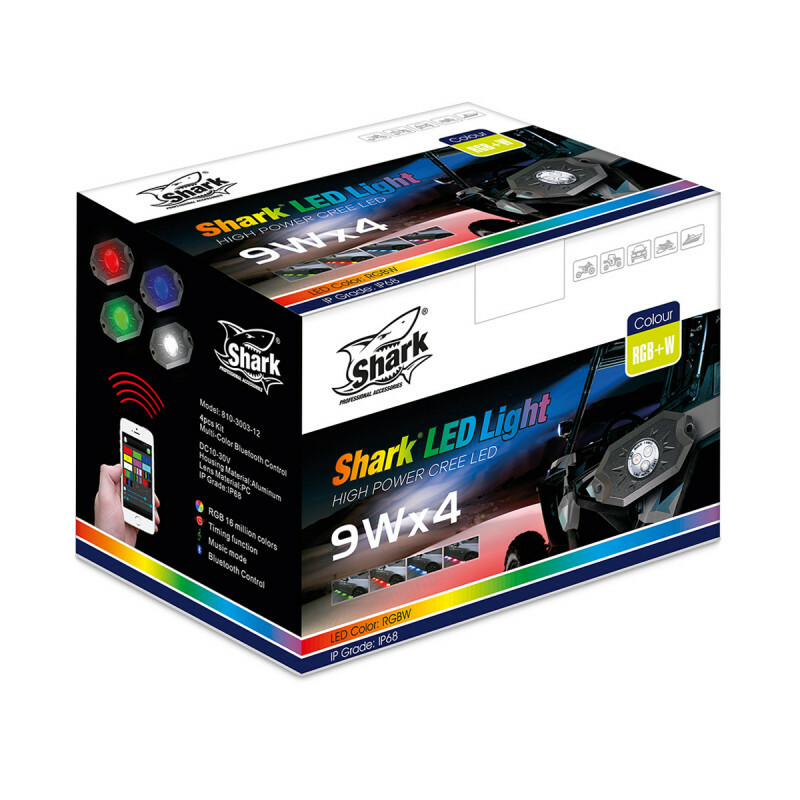 Different RGB color and light effects & strobe available by Bluetooth APP to make your vehicle eye-catching. 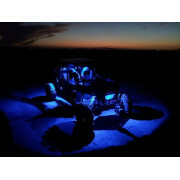 These SHARK Rock Lights give your machine custom, show look! 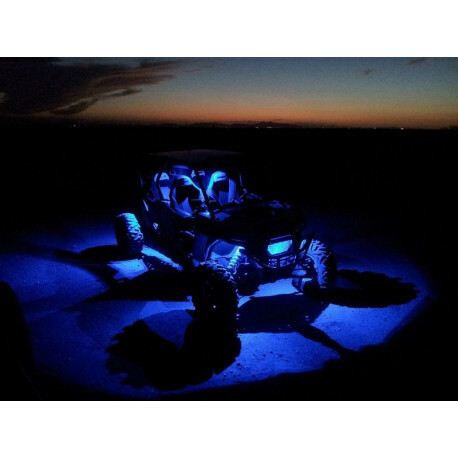 SHARK LED Rock Lights can be changed via bluetooth, timed, and even go with your music so you can be sure you never disappoint! 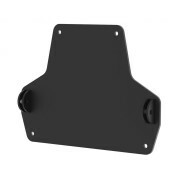 Can be used on anything from ATVs, UTVs, trucks, cars, boats and any other 12/24 V system. 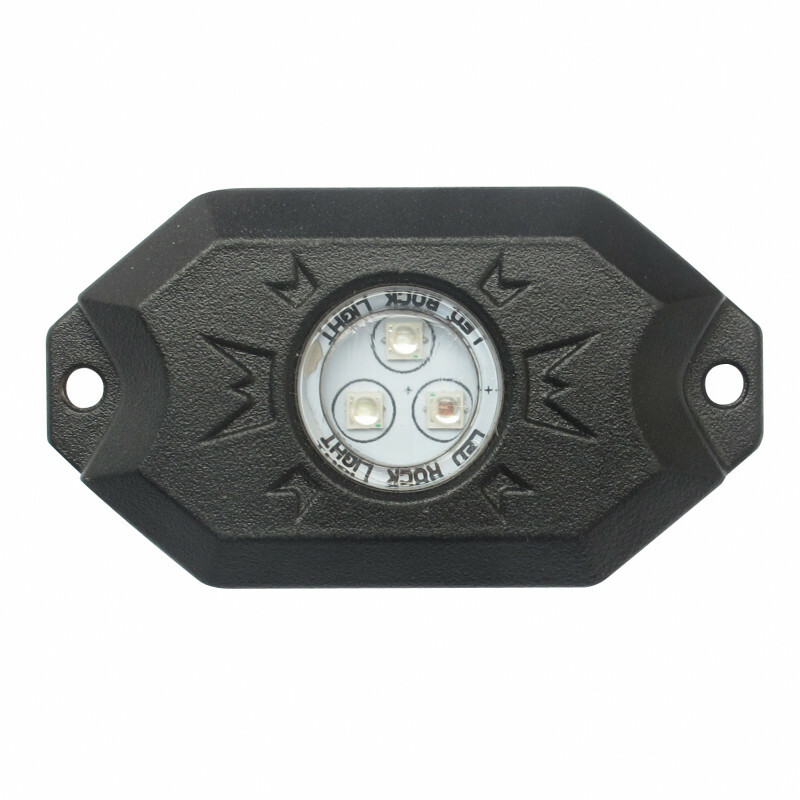 Can be used as Puddle Light, Engine Compartment Light, Camper shell Light, Daytime Running Light, Backup/ Reverse Light, Pickup Bed Light, Dome Light, Foot/wheel well light etc. An instant On/Off with no warm up time, fully submersible. 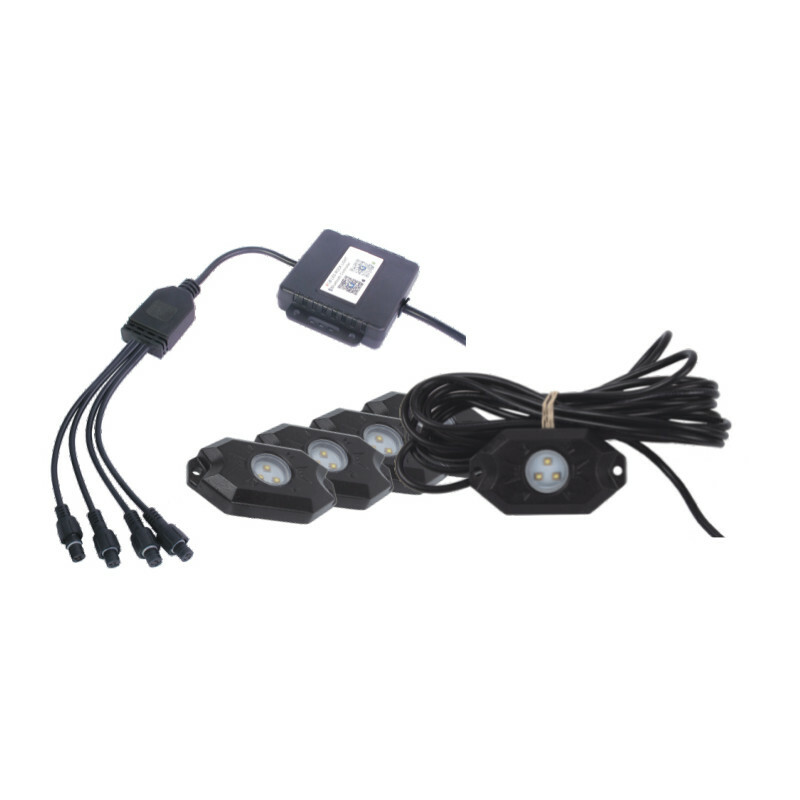 Each rock light comes with 1,5m wiring and all necessary hardware.